this object is a tool for orientation, wherever one is, it serves finding vertical and horizontal lines. to its owner – on both a material as well as spiritual level – it gives certainty in spaces and during moments which lack references. the recent 4 years the owner was frequently in need for using the object when renovating, constructing and re-constructing a personal work space. recently it was helping balancing out a bed, which now guarantees a good rest during sleeping hours. 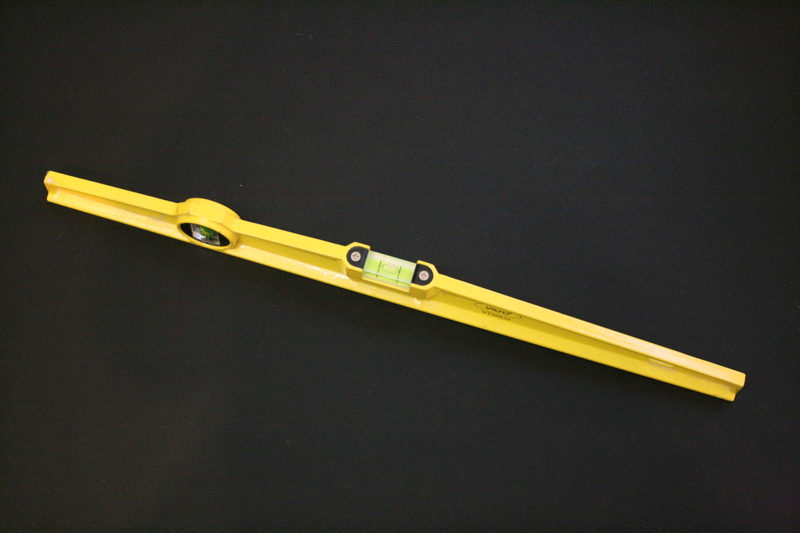 a yellow aluminium body, with the form of a flattend triangle of 50 cm by 1,5 cm by 3,5 cm. 2 embedded plexi glqs displays giving view on two air bubbles in 2 fluogreen, translucent tubes, filled with water. bought at Brico in Brussels.